Sony has mastered the art of excellent Trophy design in recent years, with Horizon: Zero Dawn, Marvel’s Spider-Man, and God of War all serving up entertaining Platinums. 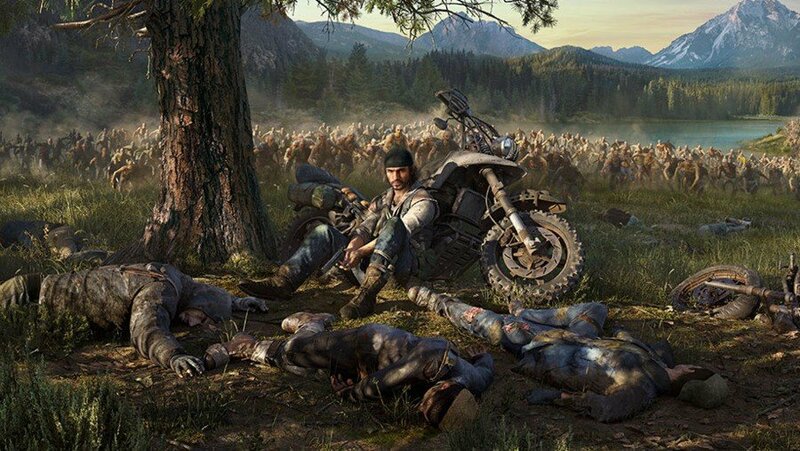 And it looks like the upcoming Days Gone will be no different, with its list of leaked trinkets looking achievable – without being obnoxious like some games. Posted up on Reddit, the full roster of 46 Trophies will see you working your way through the campaign, upgrading Deacon St. John’s abilities and taking full advantage of crafted weaponry and stealth manoeuvres. You’ll need to get over 75 per cent of the title’s many collectibles, but not every single one – which is a relief. This just looks like a very fun Platinum Trophy to be honest, which will force you to explore all of the game's features, without driving yourself crazy running through it on Ultra Impossible Blink and You Die difficulty. Perhaps the ease of achievability will disappoint the masochists among you, but we’re looking forward to adding this gong to our collection. before i look them up,are there any spoilers? or are the story related trophies hidden? I'm gonna hold off for the PC version. @get2sammyb thanks for the warning ! as if that is a bad thing considering most games have a trophy or 2 designed to piss you off. Looks good. I can’t be doing with those 2nd play through hardest difficulty ones. I’ve got 95% on shadow of the tomb raider for exactly that reason. Never doing that for a plat. You might have to wait for a while before it s part of a PlayStation Classic edition. I wish there were more of those 75-90% collectibles trophies. Especially if they're missable or otherwise borderline impossible to achieve 100%. Looks like another PS4 Platinum avatar maybe heading my way in a few months. "Sony has mastered the art of excellent Trophy design in recent years..."
I hope The Last of Us Part II follows suit. Naughty Dog games, in general, have dreadful Trophy design, in my opinion. @ApostateMage it won't happen. The last of us Remastered Version, Uncharted 4 & Lost Legacy, Ratchet & Clank, Knack 1 & 2, Infamous Second Son, Horizon Dawn Zero didn't come to PC version tho. @ToniK Meh, but I don't want to have the 100% stuff go away. I like if there's a reward, a congratulations, for getting every item in a game. If somehow achieving 100% collections is not a fun thing to do or unnessecary tedious, then that's a problem with game design itself and not the trophy list for that game. Getting rewarded in a small way for doing something special was why these trophies were set up in the first place. Also, gamers should get over the fact that sometimes you're not good enough or you don't have time enough to get all the trophies. Just like not everyone is going to be a popstar, especially not without investing in it, the same not every trophy should be easily achievable. The trophies were invented in the first place to add some extra value to a game. Not rewarding gamers for what they were already doing. @Ron22 i don't realy have a problem with their SP trophies but i do think that their MP trophies should be in a seperate list like DLC trophies. that way everybody can still get the platinum even the people that don't care about the MP in a SP focused game. @jdv95 that must be a recent thing with ND games. I got the plat in Uncharted 2 and I remember for MP literally all I had to do was play one round, which I thought was fair enough. Shame they stopped doing that. @jdv95 Just like Mass Effect 3 multiplayer, no one expected it to be really good. It has taken on its on form now, there are still people playing mulitplayer on both games to this day. Uncharted 4s multiplayer were easy enough to get, maybe they will do the same with Last of Us 2. @Wesker the MP trophies for uncharted 4 are still easy ,even i have them but on TLOU they are more complex. Shawn Layden probably wants to release this game on Epic Store soon enough. 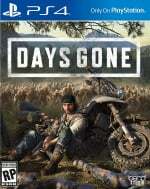 @PS_Nation not a chance Days gone is a first party game unlike heavy rain. Considering how busy life is these days, easy lists that require your to play and experience the game are a nice commodity. Not that I don’t enough some challenging trophies being thrown in, but please don’t make it super grindy, multiple playthroughs or force you use one type of playstyle/weapon. Those are the worst. @PS_Nation are you gonna keep on repeating this? you know well enough that it was a special situation. maybe even outside sony's full controll. i'll be the first to leave sony if this happens again but untill than i think that it most likely won't. Nice, this is how it should be imo. @David187 honestly I’m looking forward to this more than anything else. @jly1987 totally agreed! After niflheim and chasing down the valkyrie, I was pretty much done, short one horn of mead! @ApostateMage exclusive to Epic Game's store. @ApostateMage Never going to happen, this is a PS4 exclusive. I don't mind having to get 100% of collectibles, but I'm never doing a second playthrough on crazy-hard-mode to get a plat. But can I stream it though? This'll be Platinum number 49. Followed by my back catalogue I should be at 60 by the end of the year. I like trophies, can you tell? Um, it's on Xbox too, unfortunately. Also the Epic Games Store. Good, I hate annoying platinum like "finish this game on hard difficulty" or "make it to the final boss without being hit once", platinum should be about extending the life of the game and showing all places in the games without annoying users. God of war, spider-man and nier automata get it right, uncharted, diablo 3, and dmc v is not I think. I don't have problem with hard trophy for hard games like bloodborne since it's the essence of the game, but for normal game like uncharted 4 it's weird seeing some hard trophy like "Charted" or "Sharpshooter" in there. @jdv95 Assassins Creed is King at that collectables even when you are sick of the game already. Love it. I hate when developers put in trophies designed to screw with you and just piss you off. Trophies should be a fun way to show aspects of the game that maybe you missed or didn't even know were there.